La Vie Est Belle is a new Lancome fragrance, available on the market from fall 2012. The concept of this fragrance is centered on the idea of natural .. The new perfume, L'Homme Parfum Intense will announce the fall collection by YSL. 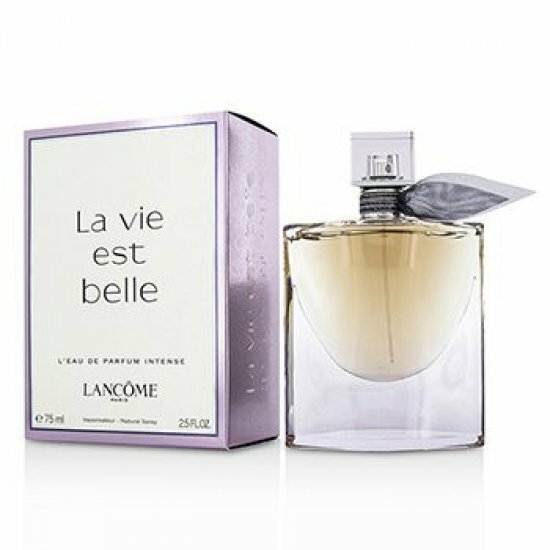 The warmer and more intense composition is signed by perfumers Anne ..
La Vie Est Belle Bouquet de Printemps by Lancome is a Floral fragrance for women. This is a new fragrance. La Vie Est Belle Bouquet de Printemps was l..
La vie est belle French expression for Life is beautiful, a universal declaration to the beauty of life. La vie est belle - Eau de Parfum with the nob..
Magnifique by Lancome is a Woody Floral Musk fragrance for women. Magnifique was launched in 2008. Magnifique was created by Olivier Cresp and Jacques..
A new dose of Parisian romance provides a fragrant story beginning with passionate accords of raspberry and rich rose nuance. Love at first sight whic.. Miracle is modern, oriental fragrance with fruity opening (litchi); slightly spiced flowery heart (magnolia, jasmine, ginger and pepper); and powdery ..
Tresor Eau de Parfum Lumineuse by Lancome is a Oriental Floral fragrance for women. Tresor Eau de Parfum Lumineuse was launched in 2013. The nose behi..